January 2 – First school day of 2018. Thanks to all of you who came to conferences. It is always nice to see our families and students together. I especially want to thank those of you who fed us! It was a rare chance for all of us, as a staff, to sit together and eat. I’ll be doing more mindfulness stuff with all the kids this week. We will be working on this until Winter Break. There is loads of research about the benefits of mindfulness in a school setting as well as in our personal lives. However, mindfulness is most effective if it is done daily, so I need your help. Here is an article on how to add some in slowly at home. https://fityourself.club/5-effective-morning-rituals-for-the-stressed-and-anxious-f850a706a9c8 Again, both students and parents reported high levels of stress and anxiety in the needs assessment that went out earlier this year. The unfortunate truth is also that if we, as parents are stressed, so are our kids. Sometimes the best thing we can do for them is take care of ourselves alongside them. The lotteries for high schools are now open until December 1st. If your student is thinking of going to Benson, Jefferson or MLC, the time to apply is now. Benson also has its own additional application process on their website. We’ve got a dozen students going there for Shadow Day this Friday (tomorrow). If your student wants to go to a different neighborhood high school than the neighborhood one, there is a little more flexibility in time, but a lot smaller chance in making it happen. Jefferson is having their Shadow Day the 29th. I’ve got the forms you’ll need to fill out if your student is thinking of that as an option. Contact the Enrollment and Transfer Center for more information. https://graduate.lclark.edu/clinics/gate/ . As always, I find my words to my kids about technology to be most effective if I practice what I preach. As hard as it is, limiting our own screen time is both a good example as well as a good framework for us to be present with our kids during our short times together. The Question: How do you think race influenced our first Thanksgiving? How accurate does our portrayal represent this? Be well and Happy Thanksgiving to you! *What's that? An annual book fair where 12% of the proceeds go to the Winterhaven Library. *What's in it for you? Pick up some cool new books. Stock up for winter reading. Check off your holiday gift list. *When? Mon-Fri 12/4-12/8 from 8:30 am -3:30 pm (open until 7:30 pm on Wed 12/6). 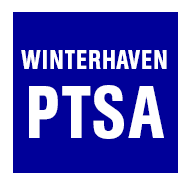 Food Drive - Please join the Winterhaven Community for a WINTER FOOD HARVEST. Items can be dropped off in the front lobby in large green bags from Monday November 20th through Friday December 8th. Our Food Harvest bounty will be going to the Portland Food Project (http://www.portlandfoodproject.org/). By providing reusable, green donation bags to members of the community, they create a network of long-term food donors that help supply food to local pantries in the Portland area. Please bring in any non-perishable food items to donate, and help to fill as many green bags for them as we can! Questions? Email Kristin Doherty (Winterhaven Community Service Committee) at kristinwdoherty@yahoo.com. Summer Camp Opportunity - Children’s International Summer Villages (CISV) is a non-profit, non-political, children’s peace education organization with chapters in more than 200 cities worldwide. For over 60 years, CISV has given children between the ages of 11-18 the opportunity to build lasting friendships through international educational programs and camps. CISV helps participants develop skills to become informed, responsible, active global citizens and make a difference in their communities. CISV Portland was established in 2016. We will be hosting 2 information sessions at two different Multnomah County Libraries the weekend of December 2nd/3rd - see attached flyer - to talk about our travel opportunities for kids, and the international camp that we'll be hosting here in PDX in 2019. If you want to learn more, just ask me! Or come to our info sessions in person, contact our President (also me), Julie Rentsch directly at portland@cisvusa.org or visit the websites of CISV USA here, and CISV International here.